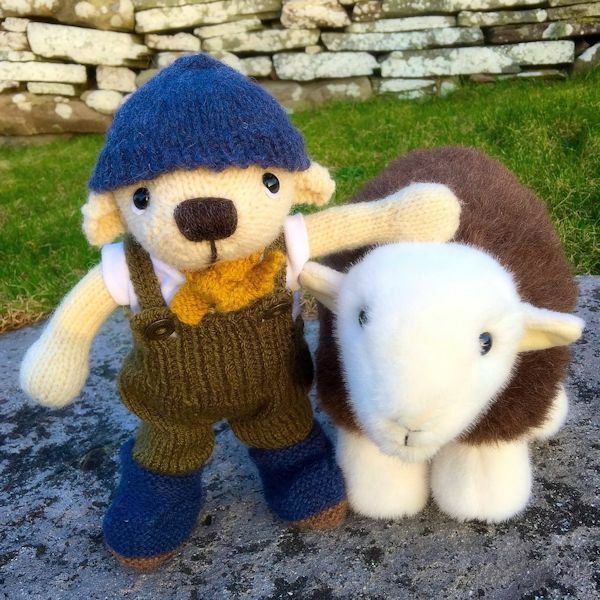 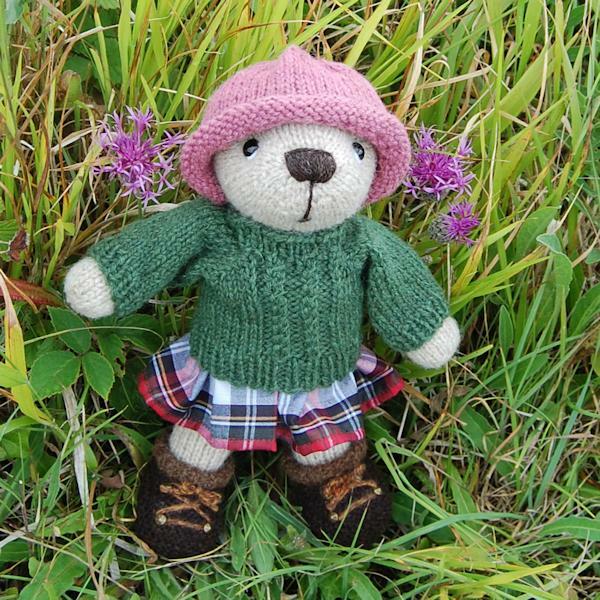 An adorable hand made Shetland wool teddy bear who has been doing a bit of dry stone wall repairing. 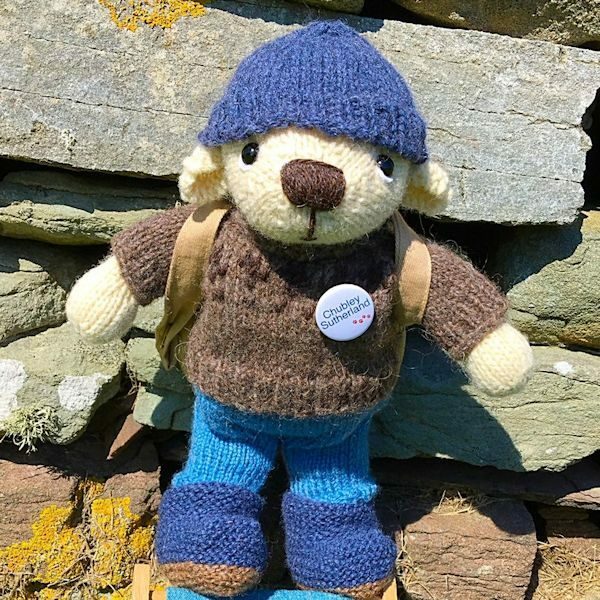 He is a bear who loves to visit the Lake District, like many of our bears, where he enjoys fell walking and, at the same time, can often be found making a stop to repair the odd stone wall he may come across during his hikes. 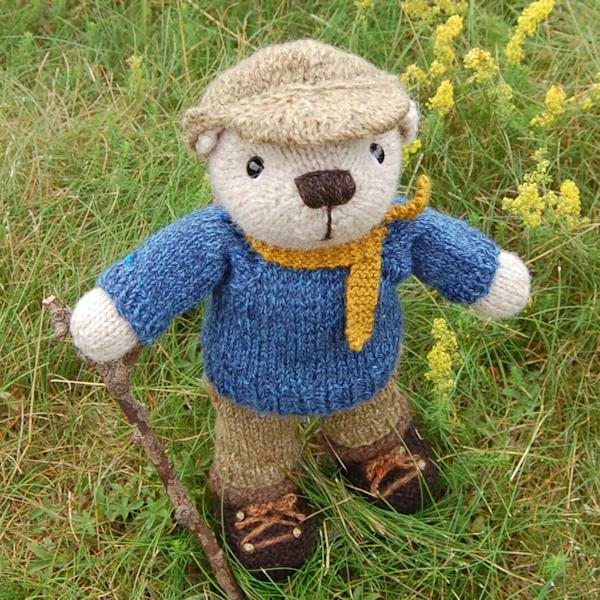 Dressed in his very warm Winter woollies he is all set for his next adventure. 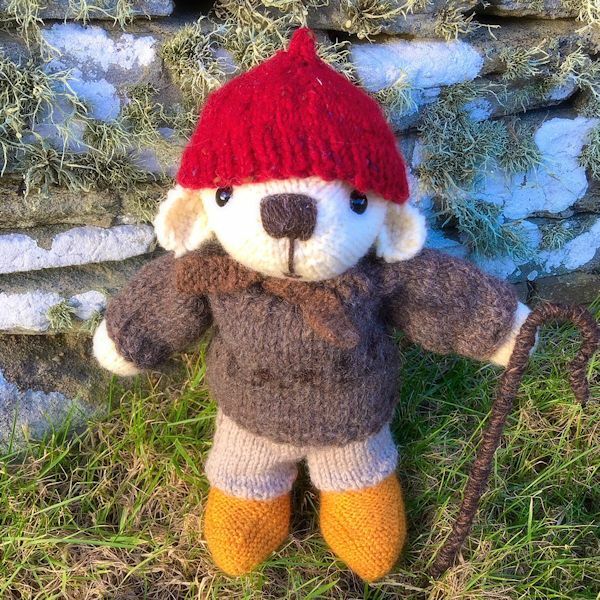 His outfit is all hand knitted in our pure Shetland wool except for his cosy jumper which is knitted from the wool of the now endangered North Ronaldsay sheep. 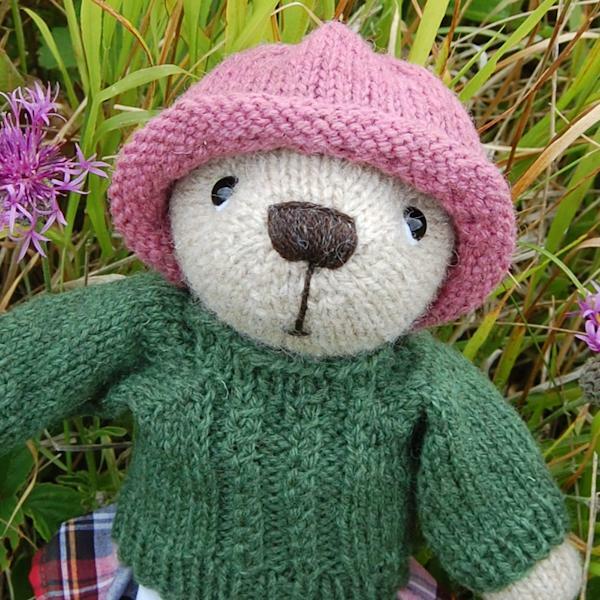 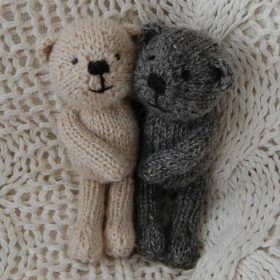 This special edition hand made teddy bear is not suitable for children due to his glass eyes, so, really I have designed him with our ever increasing Knit Bear followers in mind. 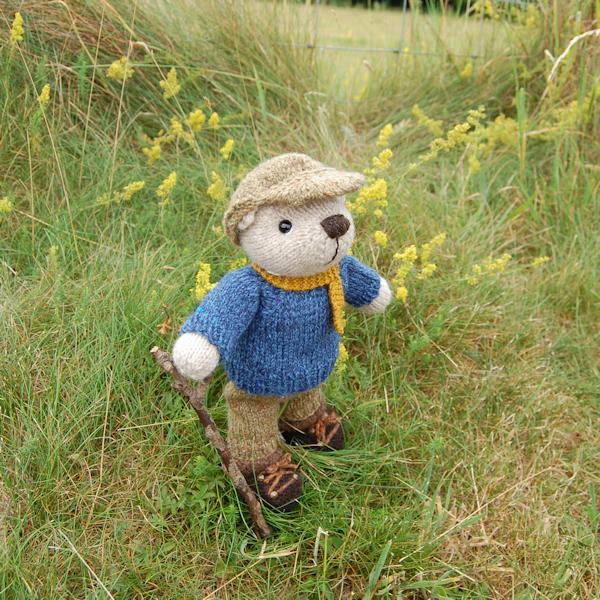 He does not come with his badge or rucksack.